Greenpeace Israel calls on Jerusalem and other municipalities to stop recycling their promises and start recycling trash. 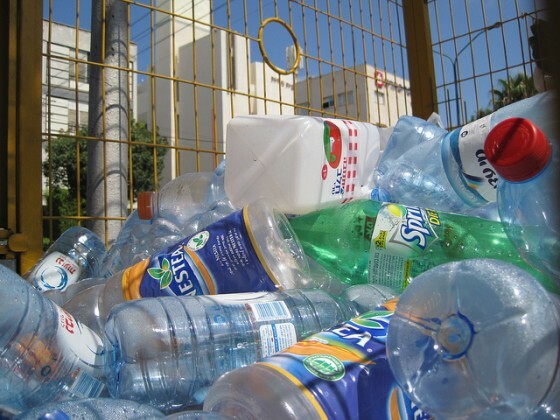 Recycling has improved over the past decade in Israel. Hiria, a large garbage dump in Tel Aviv, has transformed into a recycling center, metals are starting to be recycled, and some urban recycling bins have become targets for artists. But there is still a long way to go. Organic waste still ends up in Israeli landfills for the most part, despite the promises of several municipalities. Greenpeace Israel is starting a new campaign tomorrow morning to call these municipalities’ bluff. Their first target is Jerusalem. Before the municipal budgets for 2012 are finalized, Greenpeace Israel intends to call on all Israeli cities to implement more sustainable recycling and composting solutions. “City by city, we will ask mayors to take responsibility and implement a plan to separate waste at the source and install two bins (organic and dry) for each home, building or business in the city,” writes Greenpeace Israel. Of 251 local authorities, only 31 have implemented the Environmental Protection Ministry’s project and requested assistance in separating waste at the source. Of these 31, only one – Emek Hefer – has actually succeeded in separating organic waste throughout the entire municipality. Seven other municipalities are currently in various stages of separating organic waste at the source in certain neighborhoods. Read more about the Greenpeace campaign on the event’s page on Facebook (in Hebrew). echut ha sviva in herzliya has not been able to help. where can wee recycle compact flourescent bulbs? we can’t find a solution and are holding on to these items for a long time. With all that Israeli’s have to worry about I am impressed that there is any progress at all. Any small victory is still a victory. Please keep up your efforts.